For years now, articles have been circulating around the internet shaming most of the major olive oil brands, leading up to the currently ubiquitous “14 Fake Olive Oil Brands You Should Avoid Now,” that names Deoleo’s Bertolli among others. The articles cite the 2010 University of California at Davis study that found most supermarket brands labeled extra virgin to be of a lower grade when subjected to chemical testing and sensory assessment. The study, which was funded in part by California producers, was small in scale but it packed a big punch: “69 percent of imported olive oils labeled as extra virgin failed the IOC sensory standard,” the report proclaimed. In other words, most imported extra virgin olive oils were not extra virgin at all. The document became material evidence in class action lawsuits and trade commission hearings. It would be the rallying cry in a bid to impose import controls in the federal farm bill, the establishment of a California olive oil commission and the adoption of new quality standards in California. And now, more than eight years after the report was released, the citations show no sign of subsiding and seem to have even reached a new crescendo after a blogger somewhere twisted the report’s findings into the eye-catching ’14 Fake Olive Oils’ headline that has worked its way through the internet. Last week the CEO of Deoleo, Pierluigi Tosato told industry executives, “Consumption is falling because consumers have a lack of confidence and they don’t trust anything.” Just two years into his tenure as head of the global olive oil giant, Tosato has put his PR team in motion to shed light on how a modest, eight-year-old quality survey got twisted into an inaccurate internet meme. 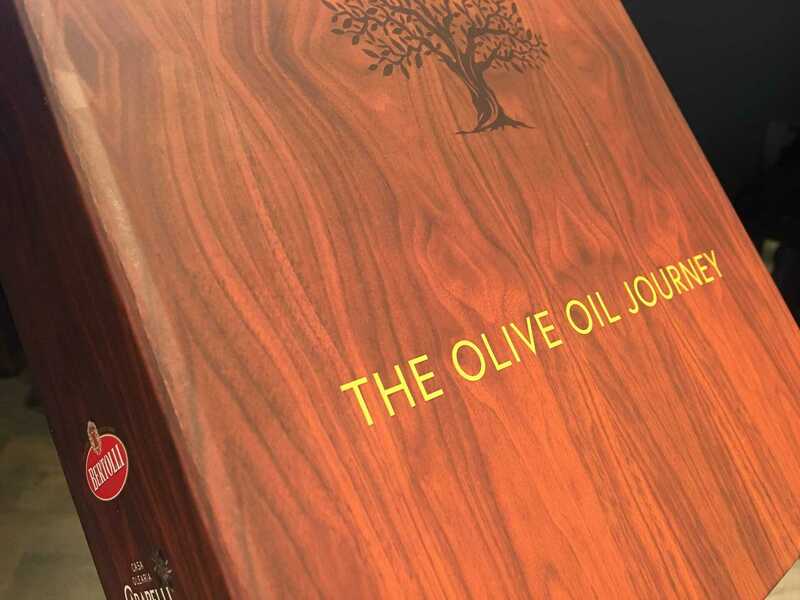 Last month, journalists and influencers received a package from Deoleo containing a bottle of Bertolli, a branded tasting glass and booklets with talking points on olive oil quality and market data. “We show how any company can be affected by fake news by revealing the tricks used by click-baiters to create stories that go viral regardless of their authenticity.” the website says. The public relations push coincides with what appears to be a ramped-up commitment to improving quality by the 135-year-old company: Three of its limited edition brands won Gold Awards at the 2018 NYIOOC World Olive Oil Competition, for example, and Tosato said he has revamped the company’s sourcing protocols (most notably paying farmers to harvest their olives earlier). Industry observers note that it’s those allegations, fake or not, that were the driving force behind changes at Deoleo and other major producers in recent years, and if it weren’t for the Davis study and others just like it conducted around the world since then, it would likely be business as usual. Olive oil quality has been trending upward, prompted by smaller producers striving to distinguish their brands from low-priced options, rising consumer interest in healthy foods and well-publicized exposés. Now the bigger brands are seeing the writing on the wall in the form of click-bait headlines and a surge in class action lawsuits. While few people so far seem to be visiting the new Deoleo website to get the other side of the story, major producers harvesting earlier and ensuring extra virgin products stay that way through their shelf lives would be significant steps with likely far greater traction.